For specialized subcontractors, word of mouth is the strategy that brings the most business. That should tell you something: that customers rely heavily on what others have to say, even when it goes against their initial belief. Maybe you’re on the lookout for a contractor to help you install a frameless sliding glass door system in your home, and you’re wondering where to begin. But before you get started, it's essential that you understand the hidden dangers of subcontracting your project. 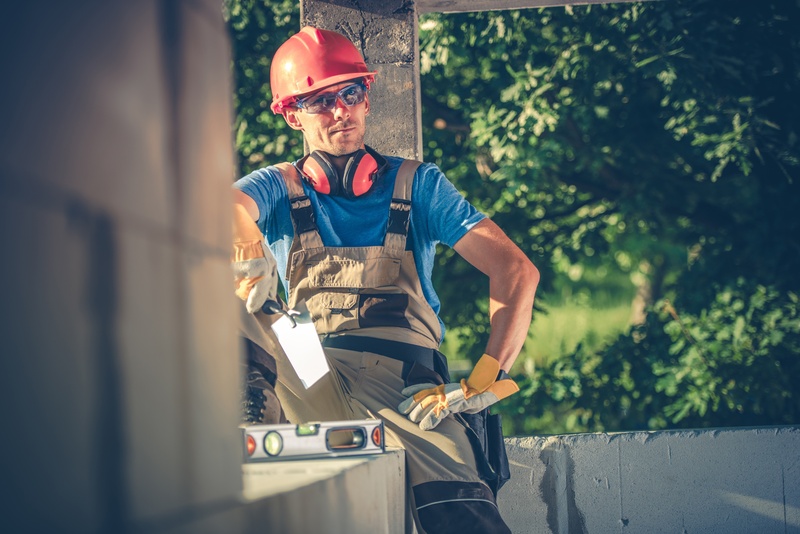 For larger scale remodeling or construction projects, hiring a general contractor may be beneficial but keep in mind that general contractors tend to be "big picture" thinkers and don't often specialize in a specific area of construction. Many general contractors hire subcontractors to work on larger scale projects that require a number of different skills or specializations. For more specific or specialized projects, like the installation of frameless sliding glass doors, it may be more beneficial to directly hire a contractor within that field to ensure more effective and efficient project management and handling. As with any construction job, there are a number of things to keep in mind before you finalize your agreement with a contractor. Before you finalize your contract you should ensure that they have all the requisite licenses and insurance in place. A license to contract is a mark of credibility and trust that the contractor is fully qualified to undertake the project. With insurance in place, you also won’t be held liable for any damages, accidents or injuries that can occur during the installation. Always be clear with your project’s needs and rough timeline so that your contractor will be able to work out the right approach and identify any potential issues that can arise during the project. Do you consider yourself a modern day Sherlock Holmes? If so, now is the time to put on your investigator hat and analyze what your subcontractor has to say. Start off by explaining the project in detail and your specific expectations. Do they seem confused, anxious or hesitant in their response? Are they confident and well accustomed to answering your question(s) in detail? Even the subtleness sign in body language can give you a ton of information on the work you can expect. Remember, it shouldn't always come down to cost. So make absolutely certain your subcontractor knows exactly how to do the job, and do it right. Always ask to see a contractor’s previous work and talk to their previous clients to get a good idea of what kind of work you can expect from them. A poll conducted by Angie’s List revealed that only 32% of clients paid close attention to the details in a contract. A contract includes every pertinent detail with regards to the project from the list of materials to be used right down to the size and color of the glass required for your door. Should You Allow for Subcontracting? Subcontractors can be advantageous or disadvantageous depending on the type of project that is being undertaken. When it comes to installing sliding doors in your home or office space, hiring a contractor who outsources their work to subcontractors may not be ideal. You’ll need to verify that each and every subcontractor on the list has the proper licenses and insurance in place before your contractor brings them on board. Possible risk of loss of control of the quality of the work done in your office or home space, which can be truly detrimental both in terms of safety and aesthetics. A possible delay on the part of even one of the sub-contractors can throw the entire project off-schedule. Possible loss of accountability down the line if something goes wrong. Liens: In addition to ascertaining the competence of the sub-contractors, you’ll need to protect yourself from any liability that can arise from the contractor’s failure to pay their subcontractors for the work done. Cover Glass USA maintains and manages their own in-house team to install their unique frameless sliding doors within residential or commercial real estate. This system gives them a lot of flexibility and protection and allows for more customer inclusion and communication. Customers can deal directly with the specified contractor and won’t have to go through the hassle of subcontractors and quality control issues. To date, Cover Glass USA has installed over 2,000 frameless sliding glass door systems for customers in the United States.